Designing an outdoor place for the house requires a lot of considerations. You have to look into many elements like architectural elements, colours scheme, etc., along with the space that is safe for everyone. Many people prefer to choose typical old materials but surprisingly, there are quite a few bold options also available to choose from that may give your outdoor place a modern appeal. It will also increase the value of the property along with providing safety and durability. One such material that can be used in the balcony railings or deck is glass balustrade. It can bring out the modern aesthetics, style and security altogether. Earlier, glass was considered ideal only for indoors but now it is widely used in outdoors as well as it is a great way to enhance the look of the outdoor space and it lets your outdoor area standout. There are many benefits of installing glass balustrade that may help you decide why you should have them in your outdoor space. Safety: Nowadays, glass is being made as per the International Residential and International Building codes (IRC and IRB). These balustrades are made from one single piece that increases the security as the kids and pets can’t stick themselves or throw any objects through these balusters. Durability: They are resistant to UV rays, moisture, rust, termites, etc. So, unless any heavy object is not thrown on the glass, it won’t break or face any damage. Stunning appeal: They are just beautiful, and no other material can beat their appearance. They can go well with any colour or style because of its transparent look. Increased property value: They increase the value of the property because of its long-lasting life and beautiful appeal. 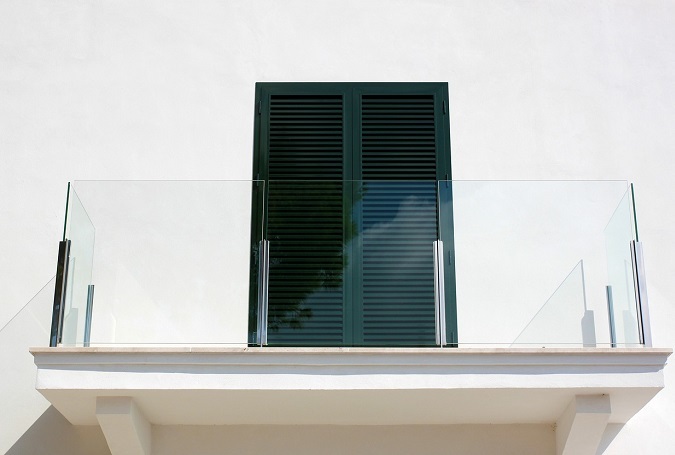 Buyers are more attracted towards the houses with glass balustrade. Easy to clean: No hard work is required to clean them! Just mop with a dry and damp cloth occasionally to keep them looking like new always. Affordable: Despite the many properties, these glass balustrades are available at a very affordable price. No maintenance expenses: Once purchased, there are no expenses on maintaining these glass balustrades other than cleaning them occasionally, unlike other materials that may require painting, repairs, etc. Protection to the deck: If you live in a place that that experiences winds and showers frequently, such as an area surrounded by mountains, then glass fencing is perfect because it can protect your property from these elements as they will not get damaged easily. It will also keep the cool places warmer. Hence, you can actually enjoy the outdoor area all year-round. Ventilation: They are great for a ventilation system in indoor places. Unobstructed view: They provide an unobstructed view to the nature unlike metal or any other form of a fence. With glass fencing, you can enjoy nature and keep an eye on who is coming and going. Easy to install: They are very easy to install. There are no complexities in the installation process at all. It can be don’t quickly at minimal cost and with few labours. Glass spigots play a very crucial role in keeping the glass fences intact. They are responsible for holding your glass and giving it a strong and durable life. Therefore, you must choose the spigots that are made of good material, are strong, sturdy, corrosion resistant, rust and moisture resistant, and smooth, so that they can hold the glass firmly. They must not only look good but also take care of the safety requirements. All these qualities are found only in spigots made of stainless steel. It is one of the best materials used for making spigots. Stainless steel casting method can be used for manufacturing glass spigots for high production efficiency. But to gain all the advantages of the glass balustrade, it is important that you buy the best quality of glass and then enhance its appearance and sturdiness with the best quality accessories. This will help you to achieve the best results of having a beautiful outdoor sitting area with glass balustrade, which will not only look amazing but will also provide the required safety.